Follow the Allies on the Normandy Breakthrough campaign as they push inland to liberate Paris and take the first step on the path to Berlin. 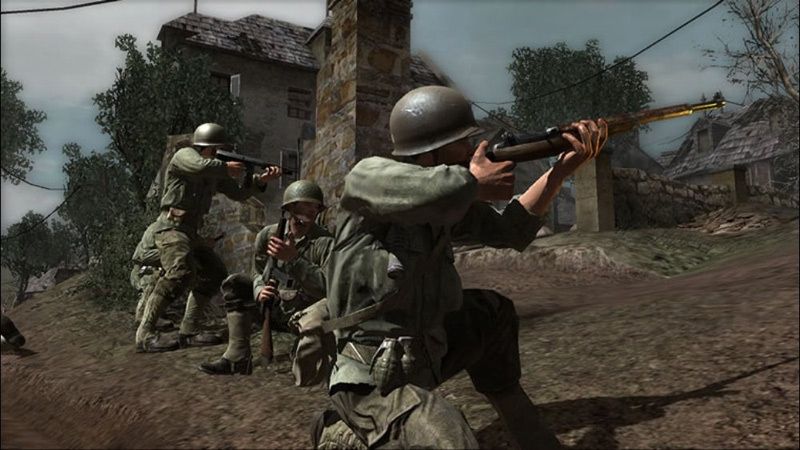 Through a seamless narrative that delivers the rush of unrelenting battle and breathtaking action, players assume the roles of four ordinary Allied soldiers—American, British, Canadian and Polish—and are thrust onto an authentic, living battlefield for an unprecedented variety of combat. Experience advanced high-definition graphics, detailed character animations, and explosive on-screen action, delivering the most immersive and cinematically intense war experience ever. 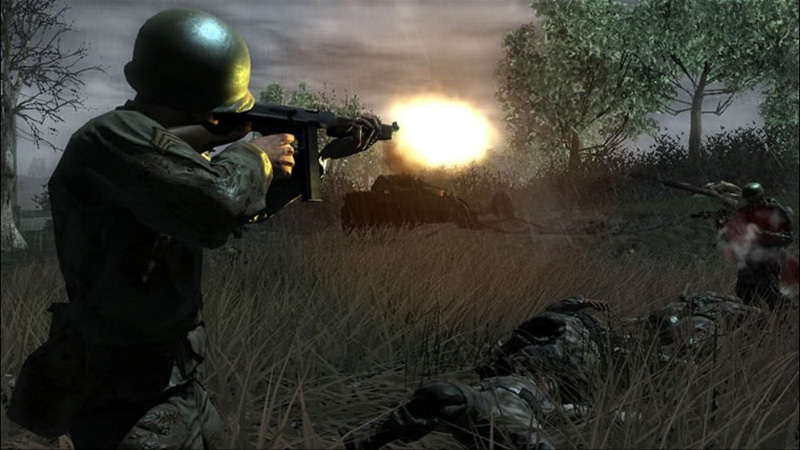 Though there's no question that Call of Duty 3 is every bit as good as its predecessor, and without question the multiplayer is vastly improved, none of the changes or additions to the single-player campaign significantly alter the way the game plays. 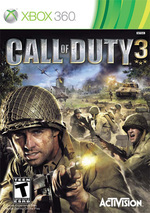 If the Call of Duty series hasn't won you over previously, Call of Duty 3 isn't going to do much to change your mind. But for anyone else, Call of Duty 3 is a must-own. 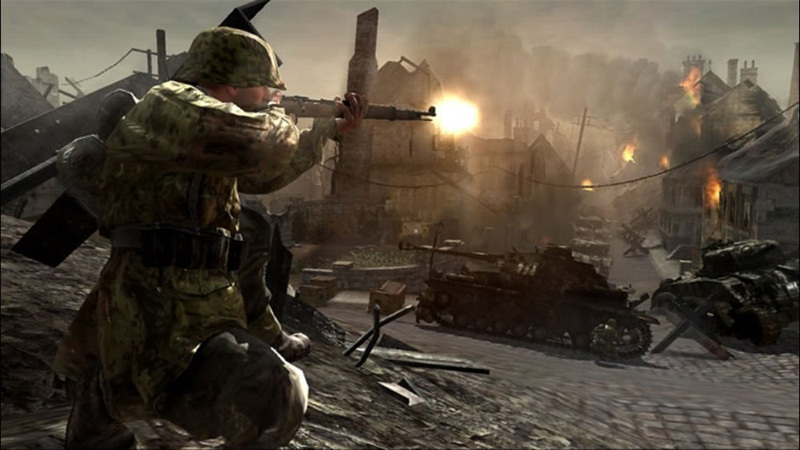 Granted, most of the game involves retaking Nazi occupied France, so a lot of the environment ends up being bombed-out houses, but it's little environmental treats like The Island that really show off Call of Duty 3's best graphics. 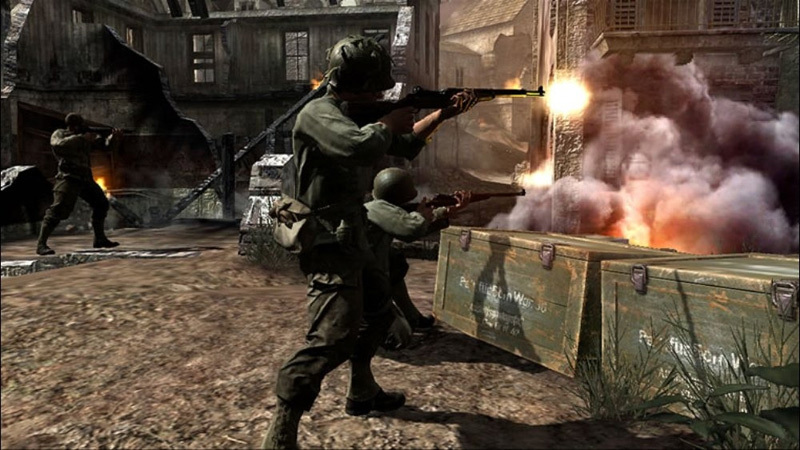 It would be easy to pick holes in Call of Duty 3, but bar a few annoyances they really don't matter. It might be a predominantly linear path shooter, but who cares? When the atmosphere and level of action on offer is this great, the fact that I can't wander off to see what's behind a tree half a mile to the East really doesn't bother me. If you spend a lot of your time online, then it's far more than a consolation 'bonus mode' to make up for the lacklustre single player offering - it's without doubt one of the better online games that console gaming has offered us all year. Maybe next year they can get both elements of the package spot on and we can start singing its praises again. 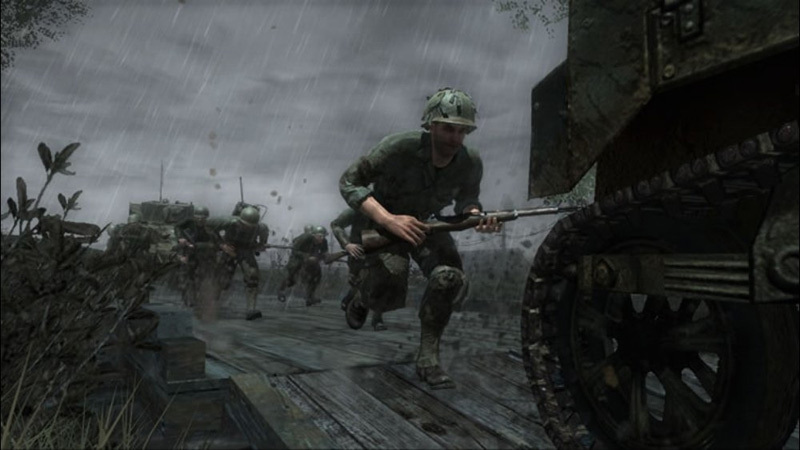 Call Of Duty 3 est une expérience moins intense que celle de son prédécesseur mais se pose tout de même comme une bonne baffe, surtout si on ne connaît pas les deux premiers opus. Cependant, il serait temps que Treyarch révise sa copie en rajoutant de vraies nouveautés et en se penchant un peu sur l'IA des adversaires ou la construction linéaire de son aventure solo qui se termine toujours trop rapidement.